multiple charges of financial fraud later today. He is being prosecuted by the Colorado Attorney General's Office. purported victims of Hutcheson claiming to be victims of investment schemes as well as real estate deals. former used car salesmen) were friends but denies having been a business partner of Hutcheson. 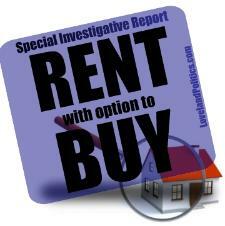 opportunity only deal with licensed real estate brokers and title companies for their protection. Office. They appear to be related to securities fraud accusations. broker by conducting business in such a manner as to endanger the interest of the public"
attorney and sue everyone involved. by the publisher of LovelandPolitics accompanied by comments like the two below. what you deserve hopefully that comes your way in the future." straw man arguments to knock over instead of addressing the real issues raised in the series of reports. and attempts of reckless damage to a protected computer violate 18 U.S.C. § 1030(a)(5). we believe are acting against the public's best interest in Loveland. Please don't be shy and place your insights, comments or questions on our blog.